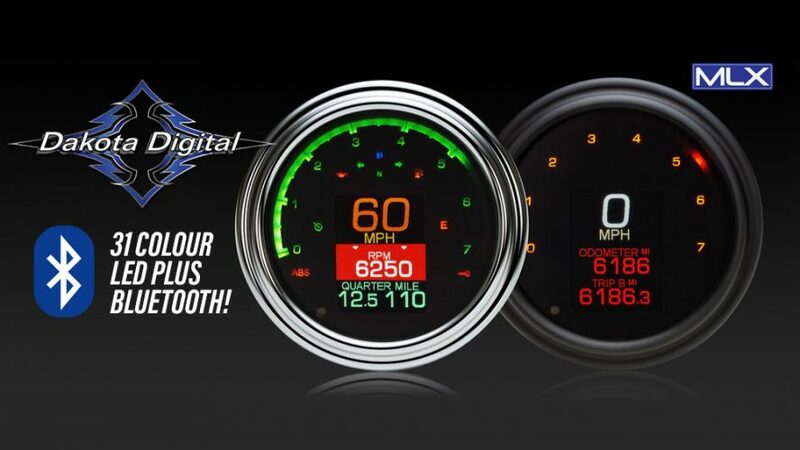 The MLX instruments from Dakota Digital will transform your Speedo into a high-tech, highly configurable and customisable information centre. Choose a black or chrome bezel to start, then get lost in the 31 illumination colours; independently select colours for speed reading, message centre information, bar-graph readouts and gauge labels, or choose from 12 preset themes! 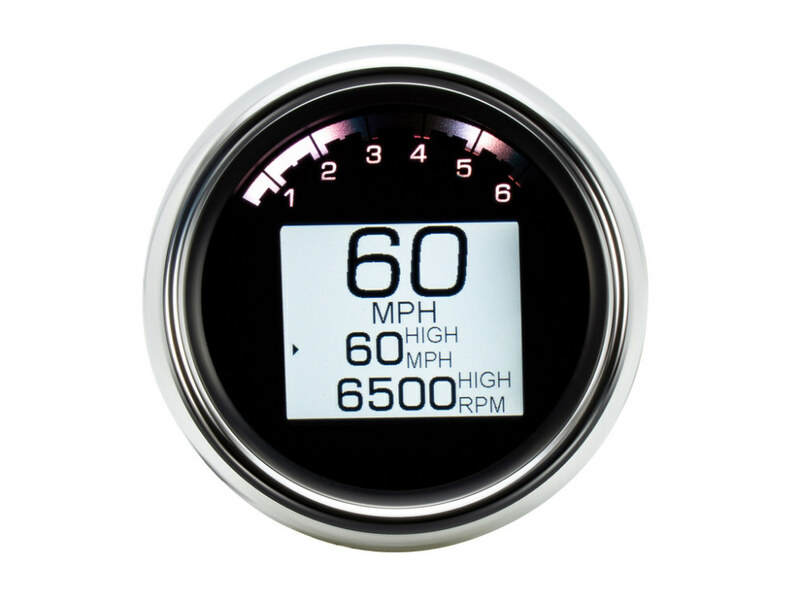 The message centre below the main speed reading offers plenty of information and can be configured to show just what the rider wants to see – from a standard clock to quarter mile times and speeds. 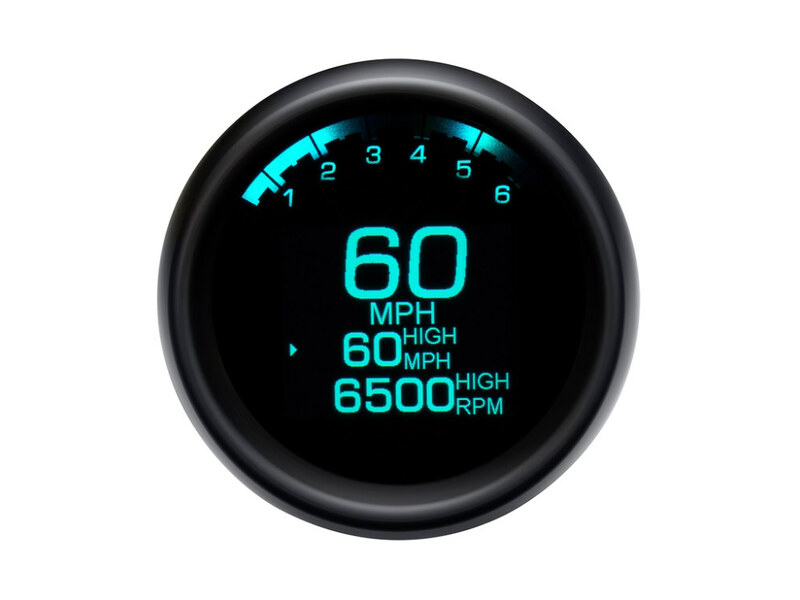 The gauge display automatically dims for comfortable night time riding and brightens to a high contrast mode for excellent visibility, even in direct sunlight. 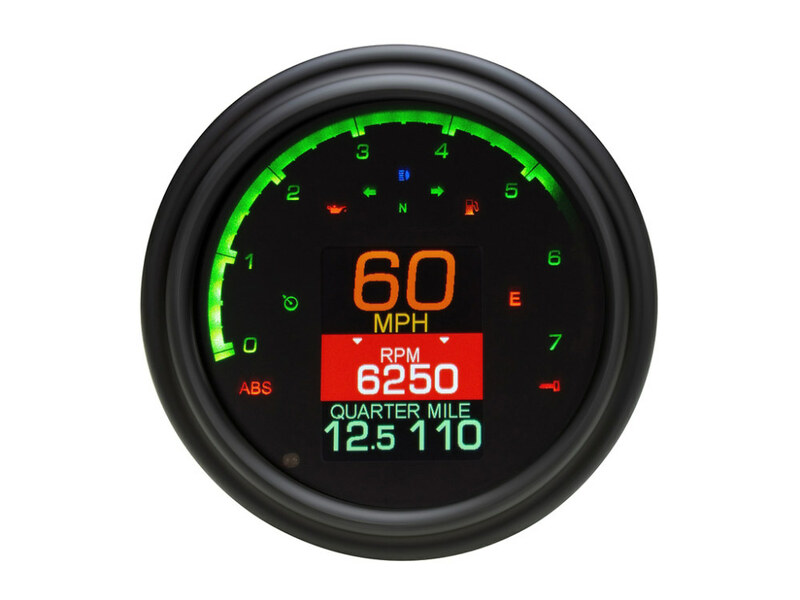 The MLX speedometer can be calibrated for custom-gearing situations and allows the user to select MPH or km/H in the setup menu. 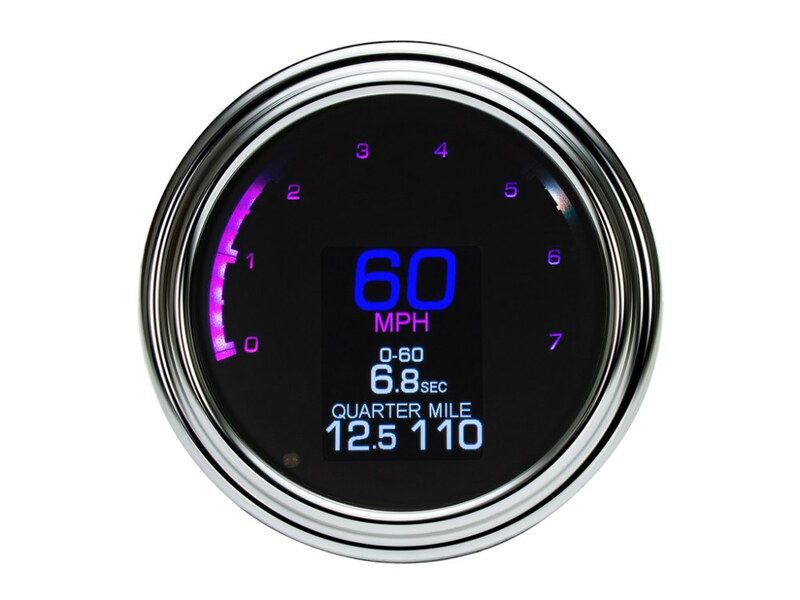 To top it all off, the MLX gauges feature Bluetooth technology for the available mobile app for both Android and Apple iOS devices. Conveniently access the setup and customisation preferences with your smart phone or tablet! 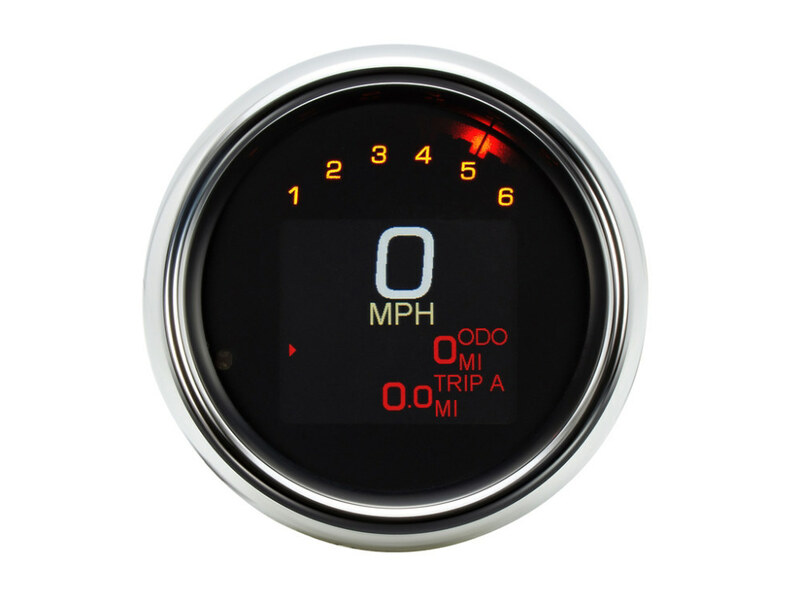 Odometer with two re-settable trip odometers. 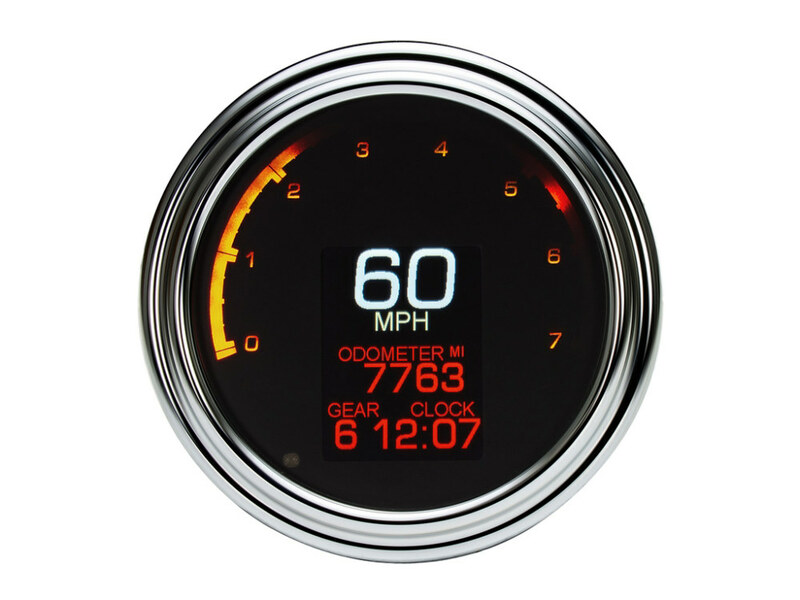 Gear position indicator compatible with 4- 7 speed transmissions. 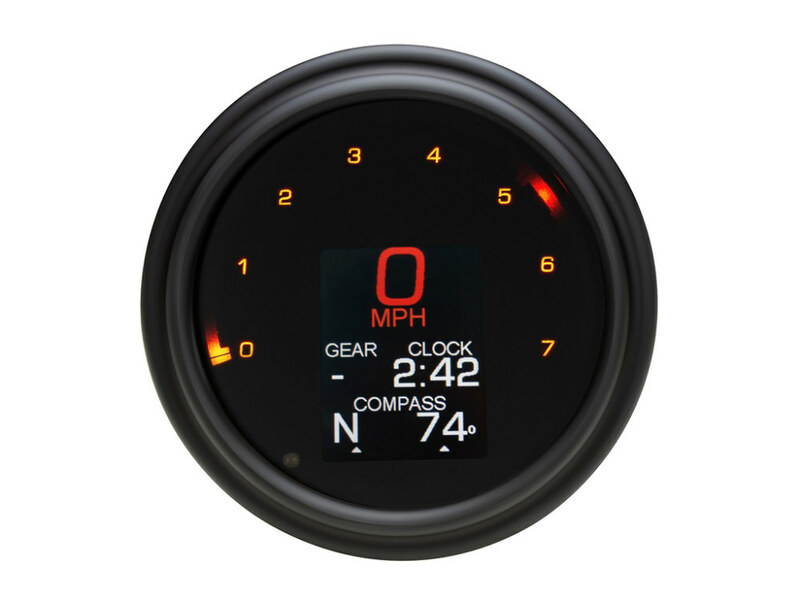 The MLX-2000 series instruments fit stock 4 ½- 5” Fat Bob tank dashes found on Road King, Softail and various Dyna models with the large, tank-mounted speedometer. 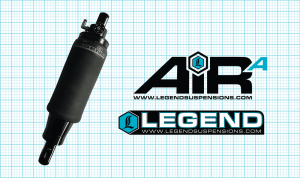 The MLX-3000 series instruments fit stock 3 3/8″ tank and handlebar mounts found on Sportster, Rocker and various Dyna models. Shop the MLX Range NOW!